This turned out to be one of my favorite cakes! 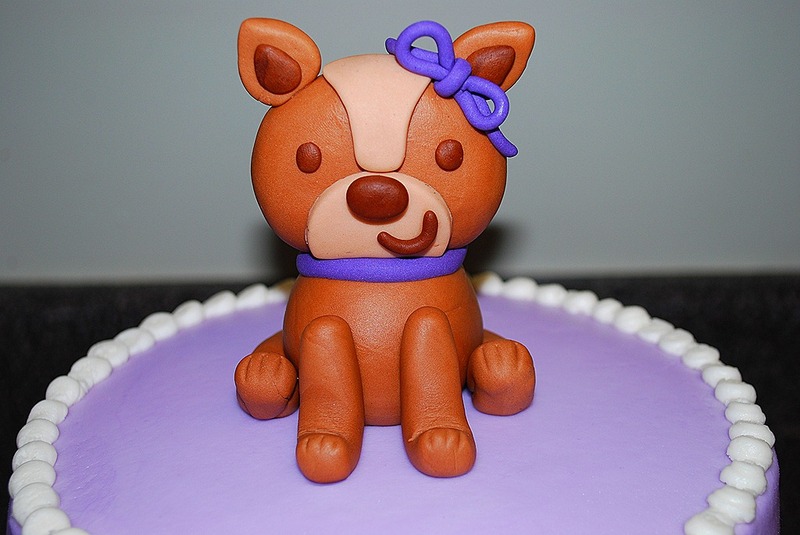 I was given a picture and told to make a light purple cake to go with the adorable little dog on top. 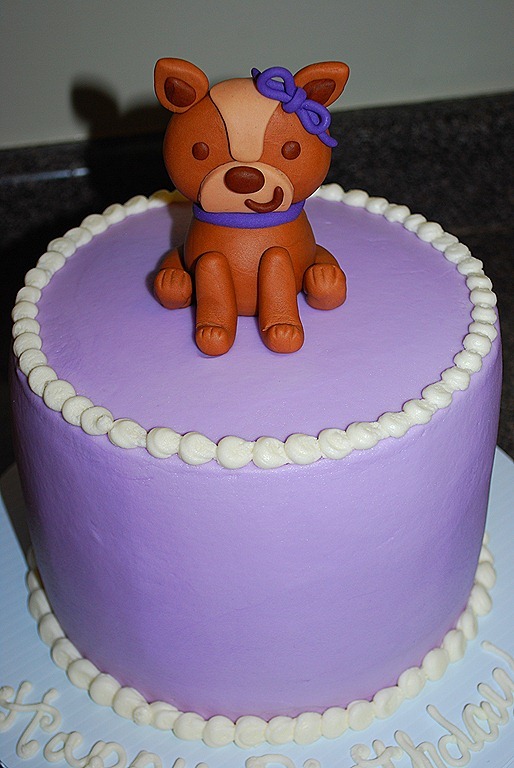 The cake was a simply done with a purple buttercream and just the little pup on top. Sometimes the simplest things turn out the best. I had a picture of the puppy from the invite they used. 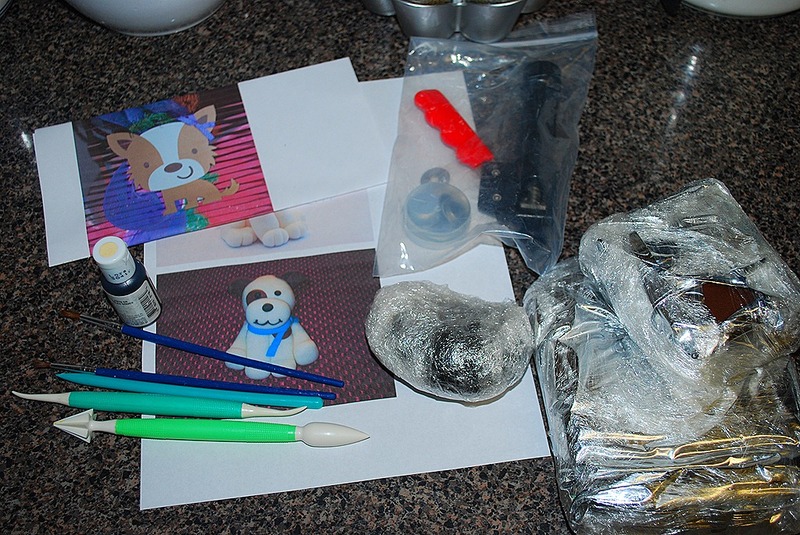 I found another pic of a dog that would help me to make the different body parts of the dog. I rolled out the head and body first. I used a couple of toothpicks and water to stick them together. 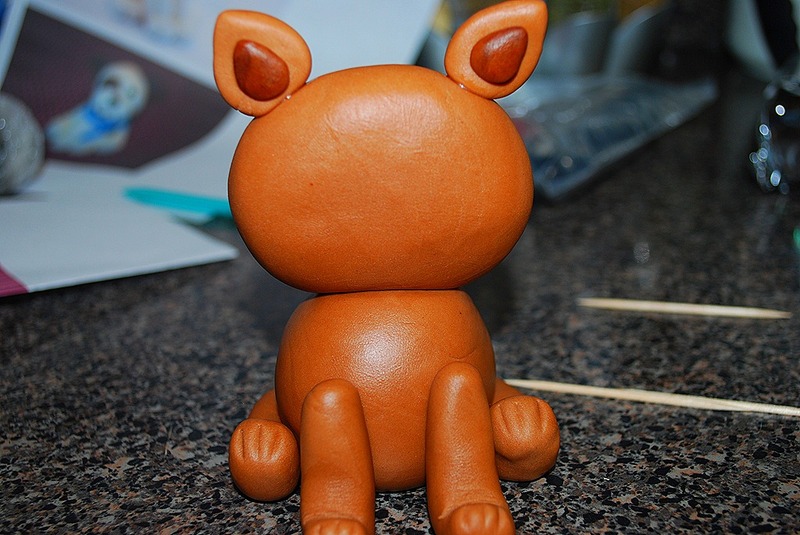 I added the legs and ears next—now it is starting to look like a dog! For the face pieces, I just sort of eyed it and did my best to make it look like the picture that she had sent me. I did put the purple collar on to connect the head and body. I put a little curled up tail on the back and it was almost done. 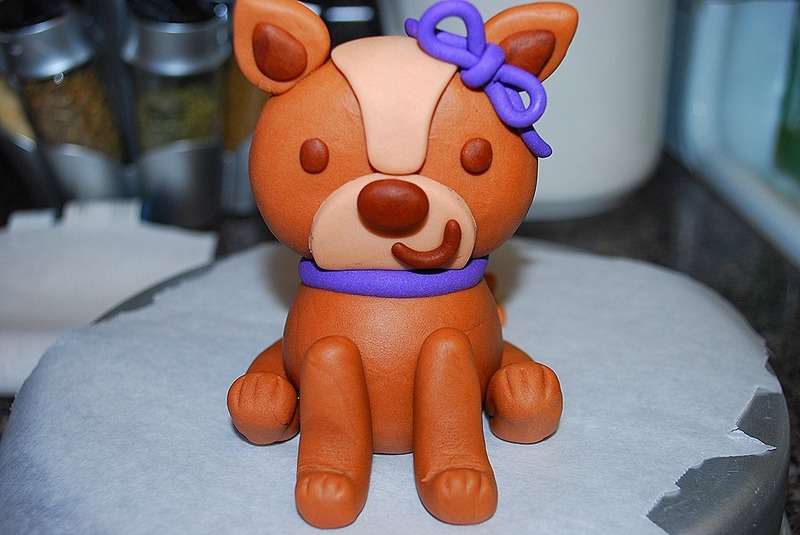 Once I put on the finishing touches and added the bow and collar and it was all ready for the cake! 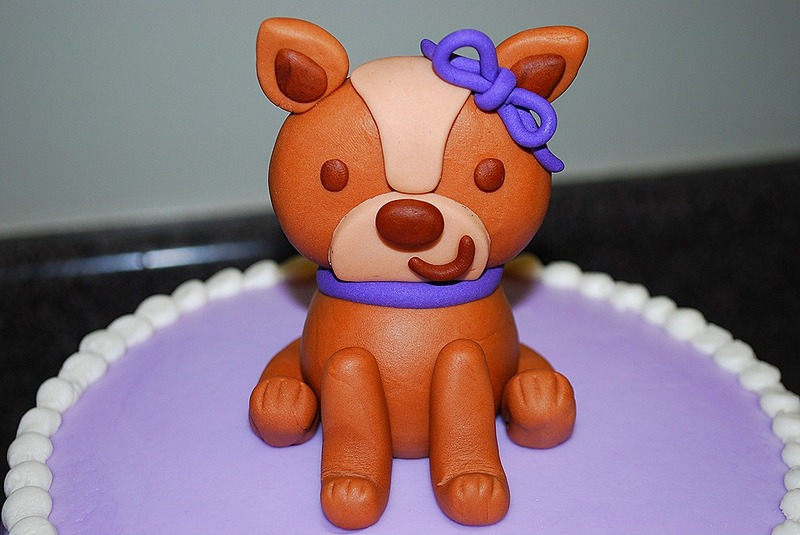 I loved this little cake. 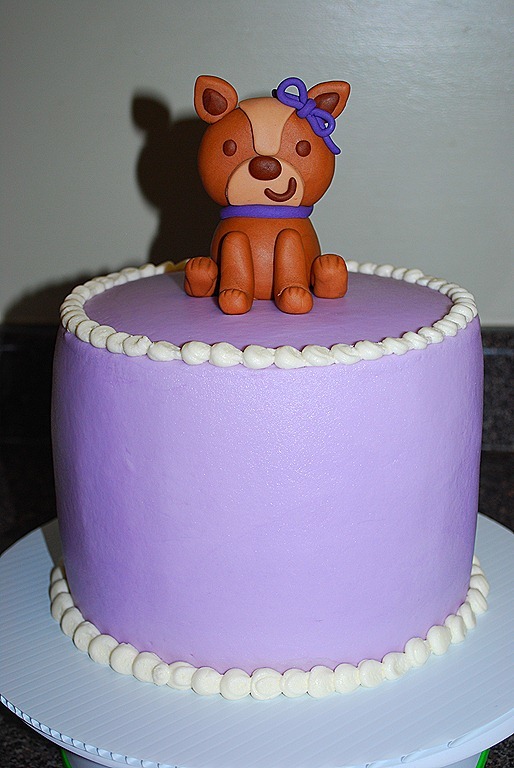 It was sweet and simple and just too cute with the puppy on top. Like I said, sometimes the simplest things turn out the best. Enjoy! !